Beginning in 2013, states will begin rolling out health care insurance exchanges as required by the Affordable Care Act (ACA). To this point most legislators, policymakers and health care experts have discussed the state-based and federal insurance exchange options at length. 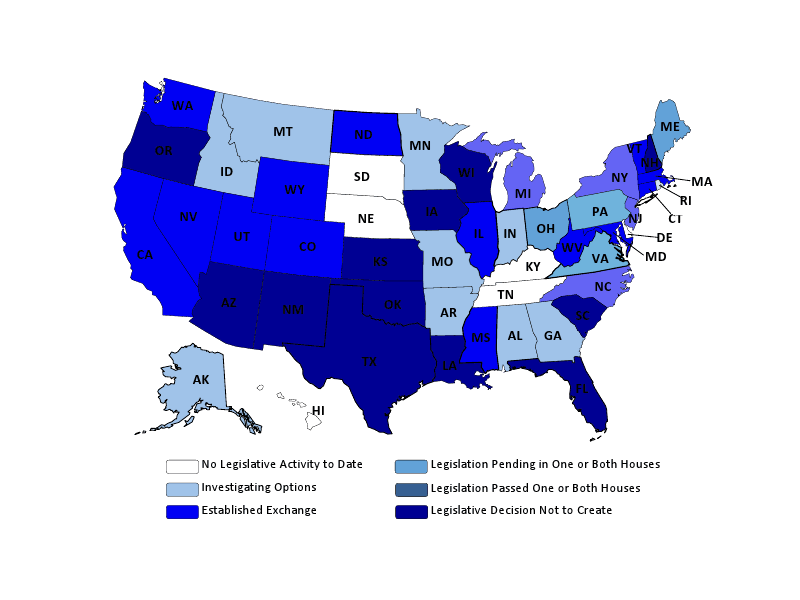 However, there is another form of insurance exchange that states are beginning to explore: the “partnership”. In the state-federal partnership model, the federal government will operate everything from consumer eligibility and enrollment to financial management and risk corridors. This essentially means that the federal government will take on most responsibility for the exchange, while granting states many of the perks they would receive if they had created a state-based exchange. If the federal government is left to the heavy lifting, what exactly will the states portion of labor entail? The states can choose to be responsible for plan management, meaning they will be charge of qualified health insurance plan certification and reinsurance, data collection and basic supervision. The states can further choose to be in control of customer service functions such as in-person assistance. Nonetheless, even in this case, the federal government will oversee the websites and call centers where the heavy lifting will occur. To date, only a few states have revealed that they intend to participate in a state-federal exchange. Illinois, whose Governor Pat Quinn announced its intention to run a partnership exchange in July of 2012, has already received $39 million for the state, and this sum does not even include Medicaid expansion. Arkansas has been making significant progress on their partnership since 2011. For its hard work, the federal government has given the state nearly $9 million in grants. For more detail about the current responsibilities of the partnership, visit the PwC “Anatomy of an Exchange” chart created with data from the Robert Wood Johnson Foundation. Nicole Fisher’s first Wright on Health post earlier this week has generated a substantial amount of buzz, being picked up by both The Health Care Blog and Health Works Collective. It also generated a couple of comments, which is encouraging, and one of those was worth sharing again in its own post. The comment, from Tom Ricketts, suggested two other sources of good information about the implementation of the health insurance exchanges. Those sources are the Kaiser Family Foundation and the National Conference of State Legislatures. I would add that the National Academy for State Health Policy also has some excellent resources. Clicking any of the links will take you to the good stuff. Enjoy the weekend–Spring is almost here!